Comment: I would like to get an estimate for replacing my furnace. Comment: Need to replace old outside heat and cool system and add a new register and duct work to a bathroom. Looking for at the least 3 yr financing with interest free. Comment: 64' Houseboat with old 2 ton Trane heat pump. Would like to replace with a geothermal split unit for more efficiency. Would like to use a Tempstar 2 ton geothermal split heat pump HS024SXXCDXX1XX1 and new coil in my existing air handler so I don't have to do a complete re-duct of the boat. Comment: Thinking about replacing 17 year old central heating and air. I think I have a 4 ton AC with 90,000 BTU furnace. Comment: Gas service is on but automated valve is not releasing gas into unit. Rogers Heating & Furnace Contractors are rated 4.56 out of 5 based on 282 reviews of 18 pros. 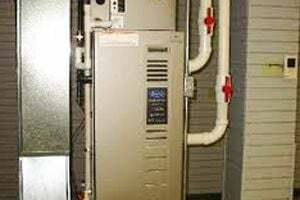 Not Looking for Heating & Furnace Systems Contractors in Rogers, AR?